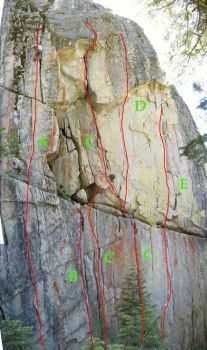 5.10c bolted arête, then step right to anchor or continue up to Rehab anchor. Set a directional for follower. FA: Dave Schultz, 1996. Which SuperTopo guidebooks include a topo for Hushed Passage?